The erstwhile stronghold of the Holkar dynasty, Indore is today a cosmopolitan city, pulsating with the pace of commercial activity. Reminders of the Holkars remain in the form of some impressive historical structures that are sure to captivate history and architecture enthusiasts. However, it is Indore's identity as a major industrial and business hub for Madhya Pradesh that is most prominent. Often known as 'Mini-Mumbai', the city has emerged as a popular destination among business travelers, who come here to explore its potential as a center for various industries. At the same time, its historical and cultural significance also makes it ideal for a family excursion. 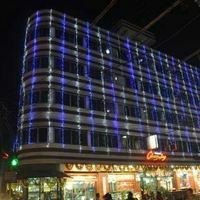 No matter what your reason for visiting, you can be assured of suitable accommodation options in Indore. Business travelers can choose from the numerous 5-star and 3-star hotels. Apart from the luxury suites, they also offer work-friendly facilities, such as conference rooms, internet connectivity, and so on. Besides, you can enjoy the recreational services that include swimming pools and fitness centers that allow you to relax after work. Those visiting with family and friends can enjoy a pleasant yet economical stay at one of the many Bed-and-Breakfast Inns or guest-houses in Indore. 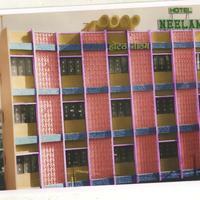 A large number of hotels in Indore can be found in the Vijay Nagar locale. 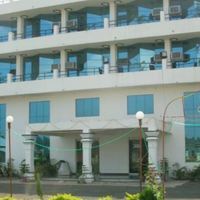 South Tukoganj, Ring Road, and AB Road are some of the other ideal areas to look for hotels or accommodation in the city. Although Indore is more popular as an industrial city, rather than as a tourist destination, finding accommodation on arrival can be quite difficult. For this reason it makes sense to book accommodation in advance. Cleartrip's pay@hotel feature allows you book your stay and pay the amount directly at the time of check-in, without any hassle. We also offer some amazing discounts. So, use Cleatrip to book your accommodation in Indore today!